It's probably been a month or so since I last time did mu's. Our 2 week holiday kinda messed up the regular training rhythm so it's been natural to being away from rings. I took couple of reps to get back in the feeling. I got to admit I was a bit afraid could I get any but luckily I still got it! Lots of pulling! Started with a 1k row. Then some work with a 60kg barbell, finishing with Chest-to-bars. That's something you've rarely seen me go after in metcons. I figured that would be beneficial and it truly was. My row was a little sub 1.50 pace. I thought rushing here would bring nothing good to the table. A second or couple here is not much and would have gassed me more than I would have liked. It was critical to stick to the gameplan. On hang power cleans I did 5+4 reps on the first round. Then I hang cleaned it for the 10th time and push jerked the required 10 reps. This combo was demanding for me on shoulders. As I was done for the first round of baf work I stepped in front of the pull-up bar and thought how the hell am I gonna get trough those needed reps. For a second I thought about scaling down to regular pull-ups. Then I thought there's no point in that and decided to give it a shot. It felt surprisingly good and I did them in 2 sets of 5 reps.
On the round of 8's I completed 4 hang cleans, then 3 reps and in a similar style as on the first round I took the last rep in front rack position and went unbroken on the push jerks. C2b's were 4+4. Next round was 5 hang cleans at first, then last rep and ub jerks + pull-ups. From then on it was all in attitude for the remaining reps. It was something like 5-10min rest between metcons. 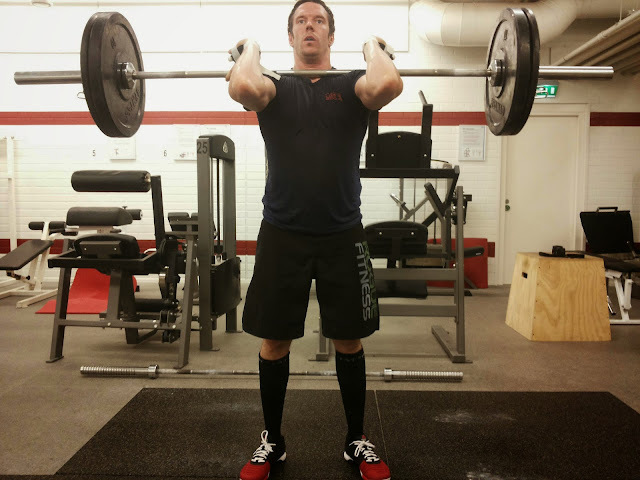 I had left another barbell at 50kg from warm up ready for action and it seemed like a good weight for a second workout with high rep squats. I was able to complete them unbroken. At times it felt heavy but really there was no doubt in my mind to cut the set at any point. 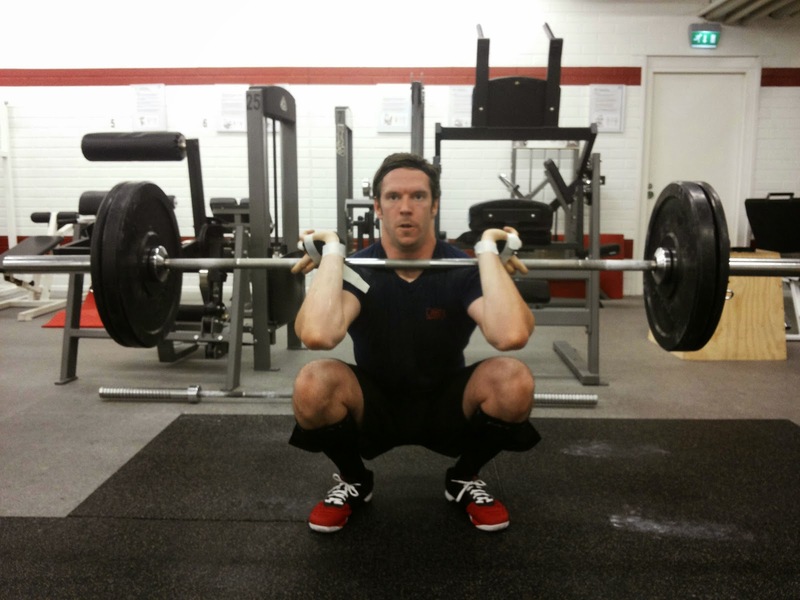 It would have been interesting to see what the outcome had been with 60kg. Burpees felt tougher. Those weren't a pleasure at all. I was able keep my body moving at all times but it took me time to recover for barbell action. The first metcon had its effect on my energy level. But when I was doing squats or burpees they went well. Transition took some time in vain. On the other hand I wanted to go unbroken on the squats and didn't want to rush and then break the sets. We're spending the rest of the weekend on the countryside. I'll add a video and pics tomorrow when at home.